Iran has vowed to increase the capacity of its first nuclear power plant to maximum within a month, and launch a new nuclear facility, as President Ahmadinejad arrives in Latin America to gain support amid intense pressure from the West. ­The nuclear pledge came amid a storm of harsh rhetoric between Tehran and the West, with Iran saying it is not pursuing a nuclear weapons program and refuting Western allegations that it is in breach of the nuclear non-proliferation treaty. ­“The Fordo facility will be launched soon and will be able to produce 20 per cent, 3.5 per cent, and 4 per cent enriched uranium,” the head of the Atomic Energy Organization of Iran (AEOI) was quoted by Iranian media as saying on Sunday. Fereidoun Abbasi was speaking at the opening of an exhibition displaying the country’s nuclear achievements in the port city of Bandar Abbas, in the southern province of Hormozgan. In August 2011, the AEOI announced plans to transfer the production of uranium enriched to a purity level of 20 per cent from the Natanz nuclear site to the subterranean Fordo enrichment facility under the supervision of the International Atomic Energy Agency (IAEA). It also claimed it would triple the production of 20 per cent enriched uranium and eventually move the entire program to the new, secretly-built facility. 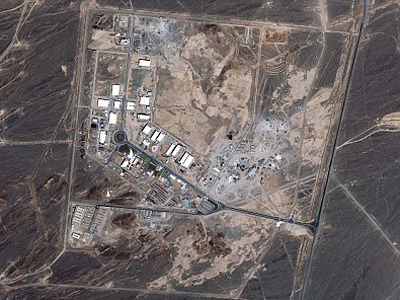 ­The Fordo enrichment facility is carved into a mountainside south of Tehran to protect it against possible attacks. It was top secret until 2009 and was only disclosed to the IAEA nuclear watchdog in September of that year after its existence was allegedly detected by Western intelligence. ­Mr Abbasi says some centrifuges have already been moved, but they are taking their time in order to observe what he calls “technical standards”. The first batch of 20 per cent enriched nuclear fuel will be loaded into the core of the Tehran research reactor within a month, reports The Tehran Times. Iran has reiterated that it needs 20 per cent enriched uranium to produce nuclear fuel plates for the Tehran research reactor, which produces radioisotopes for cancer treatment. 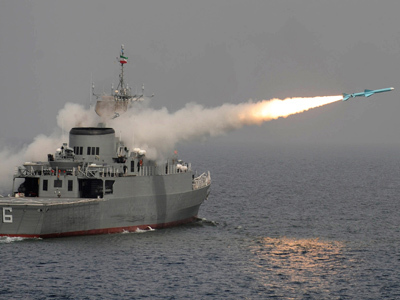 However, another Iranian daily, the Kayhan, which is rumored to be close to the ruling clerics, said Tehran has already begun injecting uranium gas into the centrifuges at the Fordo facility. It remains unclear which of the reports is actually correct. ­Iran's top nuclear official also said the Bushehr plant, located along the Persian Gulf coast, will reach its full capacity of 1,000 megawatts by February 1. The plant was connected to the country's national grid in September with a capacity of 60 megawatts. Once it reaches 1,000 megawatts, Bushehr will account for 2.5% of Iran's total electricity consumption. 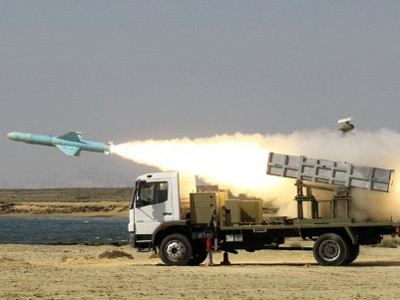 ­Abbasi confirmed Tehran's readiness to export nuclear services to friendly countries, especially the African nations. "At present we are capable of exporting nuclear services to the friendly countries in Africa which own considerable uranium resources," he was quoted as saying by the country’s media. Noting that Iran is already registered as an exporter of nuclear hardware to other countries, he also underlined Tehran's readiness to export heavy water byproducts. Fereidoun Abbasi announced a few months ago that Iran was ready to export enriched uranium, as well as build uranium enrichment plants abroad and advise countries importing nuclear power plants on how to write contracts protecting their rights. ­Meanwhile, Iranian President Mahmoud Ahmadinejad has left for a five-day Latin America trip. It will take in Venezuela, Cuba, Ecuador and Nicaragua, countries which, “resist the oppression” of the United States and share “an anti-colonialist view,” he said just before flying out on Sunday, according to the country’s Fars news agency. Commenting on Ahmadinejad’s trip, the US State Department said that “as the regime feels increasing pressure, it is desperate for friends – and is flailing around in interesting places to find,” them. 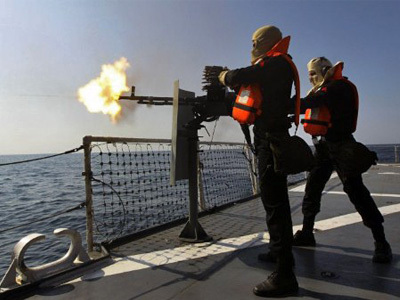 Tensions continue to run high in the Strait of Hormuz, where Iran has announced it is planning to hold yet another round of naval drills following 10-days of manoeuvres. 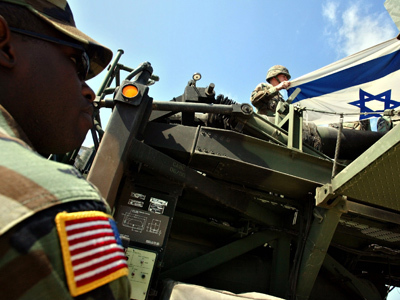 The fresh round of drills – codenamed The Great Prophet – could coincide with joint US-Israeli exercises in the Persian Gulf, codenamed Austere Challenge 12. Hopefully the show of strength will remain just that. But with three armies on the playing board, one spark could be enough to ignite an all-out war.